* The newly opened public enquiry into the horrible killing of Russian dissident Alexander Litvienko in London is already throwing up plenty of details that will be embarrassing to the Kremlin in general and Vladimir Putin in particular. Assuming that Vladimir Putin can actually experience embarrassment. But Litvienko was not the first Eastern dissident to be assassinated in London. And one of the previous cases has eerie similarities with the polonium poisoning case. * Two secret agents track a man through the streets of busy streets London. They have followed him in and out of cafés, on the Underground and along pavements, trying to engineer a chance encounter. The Eastern European spies have already tried at least once to get close enough to administer a deadly poison to their target. This time, in one of the busiest spots in central London, they are successful. The poison is delivered. The target - a writer and journalist who has been deeply critical of the regime in his native country - has barely noticed anything. But soon he will tell his colleagues and family about a sudden rash, a rapidly developing illness. He is taken to hospital where doctors are mystified as to the cause of his rapid and unstoppable decline. He insists he has been poisoned. He raves about KGB assassins sent by political masters in the East, his former homeland. Within four days he is dead. If you have been following the case of Alexander Litvienko, this scenario will sound very familiar. Exotic poison, assassins from behind what we once called the Iron curtain. A brazen political killing on the streets of London. But this is actually the story of Bulgarian writer and dissident Georgi Markov, killed on the instructions of a communist secret police in London in September 1978. I remember reading about it when the real story started to emerge in the early '80s and the impression that it made on me. This was a fictional spy thriller come to life. They had killed him with - of all things - a poison tipped umbrella. Markov had been a writer, a dissident who moved to London to escape persecution in his native Bulgaria and worked for the BBC and (more infuriatingly for the Communists) the US-Funded Radio Free Europe, a network of polyglot stations, broadcasting directly into the Communist Bloc with news, political views and music that the regimes there did not want their people to hear. On September 7th in '78, Markov was walking across Waterloo Bridge in London, going to catch a bus to his job at the BBC. As he stood at the bus stop, he felt a sharp sting on the back of his right thigh, as if he had been bitten by a particularly big bug. He quickly looked around and spotted a man picking up an umbrella and hurrying away to grab a taxi. Markov was a little shook but continued on to the BBC, where he told colleagues about what had just happened to him and showed them a little red raised bruise on his thigh. That evening he developed a fever. Shortly after he was rushed to hospital - where doctors were unable to establish the cause of his sudden and rapid deterioration. Markov insisted he had been poisoned by the man with the umbrella. Four days later he was dead, aged 49. 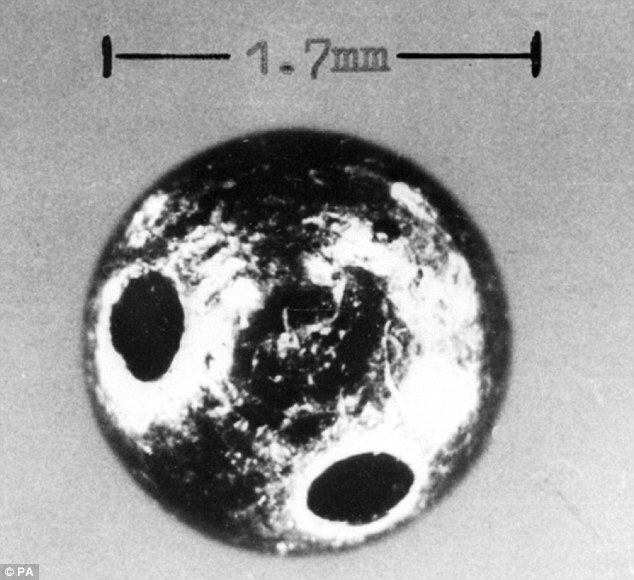 It was established that the cause of death was a metal pellet the size of a pin-head, a hollow ball, filled with the deadly poison Ricin. Even if the doctors had known the nature of the poison, they could not have treated him. There was no known anti-dote for it at the time. Investigators later deduced that the pellet had been fired from the tip of an umbrella, using a pneumatic system similar to an air-rifle. The police and secret-service agents investigating the death then discovered that just ten days before the fatal attack on Markov, the exact same method - a poison-tipped umbrella - had been used in an ultimately unsuccessful attempt on another Bulgarian dissident on the Paris Metro. 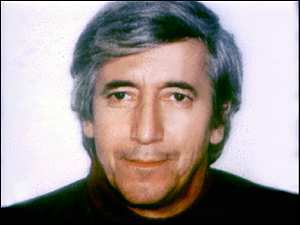 It has long been believed that the Bulgarian secret police, backed by the KGB, used a Danish man of Italian heritage - Francesco Gullino - to carry out the actual attack on Markov. Gullino was said to be an art dealer turned drug smuggler who had been captured by the Bulgarian police and given the simple choice - work for us in the West or spend the rest of your live in a Bulgarian jail. Gullino - codenamed "Picadilly" by the British secret service - has never been apprehended and is believed to be still travelling, under several false identities in Europe to this day. There are many strange similarities between the case of Markov and that of Litvienko, poisoned with radioactive polonium in a London coffee shop. The family of the Russian must hope that they get a better shot at final justice than those who loved Markov ever did.